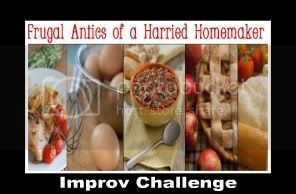 This is my sixth month participating in the Improv Cooking Challenge which is hosted by Kristen of Frugal Antics of a Harried Homemaker. As always I looked forward to participating and finding or coming up with a great recipe which included the two theme ingredients. This month the participating bloggers were asked to make any recipe of their choosing using the two given ingredients of potatoes & cheese. I knew immediately what I was going to make as this recipe has been a favorite in our home for a few years and as I haven’t made it in ages nor have I ever posted the recipe to my blog, well it was time to make it. Back the end of 2006 when we first brought Maisie home, not only was I very sick but she wanted no part of me putting her down or leaving her so that I could cook. Because we still needed to eat, I started going one night every month or so to one of those kitchens where in two hours you partially prepared twelve meals and then you brought them home to your freezer. When dinner time would roll around all I would have to do was take my prepared items and quickly cook them. It was nice because we were eating real food that I had previously prepped, but at home I had virtually no clean-up and my time in the kitchen was mere minutes. This recipe was inspired by one of the meals I once prepared in that kitchen but through the years I’ve changed and adapted the recipe to suite our tastes and this is the version I have been making for a few years. Bake until the chicken is cooked through and the topping is melted and bubbly delicious. Preheat oven to 500F (This is NOT a typo, 500F is correct!) In a large bowl mix together the olive oil, salt, pepper, paprika, garlic powder & hot sauce. Add the cubed potatoes and stir to coat. Carefully scoop the potatoes into a cooking spray coated 9 x 13 inch baking dish, leaving behind as much of the olive oil/hot sauce mix as possible. Bake the potatoes for 45-50 minutes, stirring every 10-15 minutes, until cooked through and crispy & browned on the outside. While the potatoes are cooking, add the cubed chicken to the bowl with the leftover olive oil/hot sauce mix and stir to coat. Once the potatoes are fully cooked, remove from the oven and lower the oven temperature to 400F. Top the cooked potatoes with the raw marinated chicken. In a bowl mix together the cheese, bacon & green onion and top the raw chicken with the cheese mix. Return the casserole to the oven and bake for 15 minutes or until the chicken is cooked through and the topping is bubbly delicious. Serve with extra hot sauce and/or ranch dressing. Oh my! This looks like all kind of yum! I love how you paired two awesome party foods into one great dish. Definitely pinning this to try later. This looks so yum! I would definitely eat this. Probably eat it all! If that isn't comfort food, I don't know what is! Looks awesome! I love buffalo chicken! I love all the colors! Definitely a comfort food :) I wish some could comfort my bare lunch plate right now! I love this recipe! I'm going to make it. I've never heard of the kitchen you describe in your blog, but what a great idea! I'd definately do that if they were on in the UK! She's probably talking about a place called Dream Dinners. They have them here in Cincinnati. I've never done it myself (too expensive), but friends of mine have. What a wonderful recipe--I love it that we both did buffalo chicken! You can't go wrong with that combination. =) I'm adding this to my menu-planning list; my family will go crazy for this, for sure! This looks delicious! I will be making it very soon....as in tomorrow!!! Thanks for sharing the recipe!!! Thanks for checking out my entry in the Improv challenge. This looks yummy. I LOVE blue cheese, especially with Buffalo chicken, so I bet it would be awesome to use a little blue cheese in the cheese mixture. Sure hope that he enjoyed it! My husband loves this recipe. Instead of hot sauce thought I sub it for ranch. The pepper still leaves it with just enough kick. Wow! I might have time to get this in the oven for dinner tonight. I've always wanted to try buffalo wings, this is definatly the recipe to try, thanks. Ps. my excuse is I'm Australian and we don't really have them here. Wow, this looks so great!! We love buffalo chicken flavored things and this looks like such an easy and good dinner. I will be pinning this so that I can make it in the future. Thanks! I'm putting this on the menu for next week! I printed this recipe off and can't wait to try it! The Hubby and I are big Buffalo Wing Sauce fans and this casserole looks awesome. This recipe is incredible! I love everything in it! great recipe!!! Who doesn't like potato and cheese - This looks yummy! Oh My I would like to try this like RIGHT NOW!!!! How yummy! Thanks for sharing! Please come check out my colcannon casserole. Oh, boy, this looks like a delicious, flavorful casserole! Great Improv dish, Lisa! I really looked at this one. One of my favorite things is a roasted potato. The other is Buffalo chicken. Mixed together.....oooh la la! I am so making this. Oh wow, what a yummy sounding recipe!! I had a buffalo chicken loaded baked potato at a local deli a couple weeks ago and loved all the flavors together. This dish sounds like a hit! Stopping by from TMTT. This looks delicious and I just know my husband would LOVE it! Definitely going to try it! Oh my goodness! I can not wait to make this. This recipe has everything in it to make a perfect dinner. Thank you for sharing! Wow, I feel like the food is right around me.... Yum! This look oh-so good. I've got to try it! Pinned. This looks so amazingly good, can't wait to try it! Okay, so I made this last Sunday. We enjoyed it very much! It's a keeper. Thanks! YAY!! Glad that you enjoyed. Did Linlee eat it though? I made this tonight and it was amazing! Thanks for the recipe!!! I can't believe that you haven't been making it all along, I know that this was a fave in your home too. It's nice to bring back old favorites. I just made this an hour ago. I'm supposed to be taking it to a friend's house. I don't think it will make it out of my kitchen. It smells wonderful. I hope that you and/or your friend enjoyed the meal. Next time you'll have to double the recipe so that you'll have some and you'll be able to share. OMG, I really like this recipe, this is a must try for me, and it seems very easy. It just looks so YUMMY. Thanks for sharing. What a great way to feed a crowd! 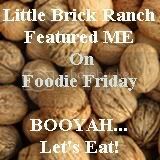 Thanks for linking this to Food on Fridays! I have got to make this. It looks amazing! This looks hearty and delicious, and I like the added heat with the hot sauce mix, nice! I made this today and it relish. I worried it'd be too oily with the cheese but it really wasn't. It did take mea good extra 30 minutes to cook the chicken though. Next time I think I'll cook the chicken separately, add to potatoes and then just broil to melt the cheese. This is super and it is being featured this week. Thanks for sharing it. This looks like a keeper. I made this today. Although I was searching for low carb/low fat recipes . . . had to try it and man alive this is sooo good. Thank you. I am pleased that you enjoyed it. I do have a lower fat version here: Slimmed Down Loaded Potato & Buffalo Chicken Casserole. I hope that you'll give that one a try too. Sooo delicious!! So easy to prepare and even my picky kiddos asked for seconds. No leftovers tonight!!! Pinned this. My hubs will be in heaven. Thank you so much. This looks great! If you're feeding kids or are not a fan of hot sauce, is there a milder adaption anyone would suggest? This was dinner tonight and it was DELICIOUS! Thanks for the recipe. Thanks Courtney, glad that you enjoyed. I'M HAVING A PROBLEM WITH THE RAW CHICKEN ON TOP OF THE COOKED POTATOES. CAN ANYONE HELP ME FEEL BETTER ABOUT THIS? Debi, you may be putting raw chicken on the cooked potatoes but you're then cooking everything so whatever raw touched the potatoes is fully cooked. It's really no different that sauteing onions then adding raw meat and browning the meat with the already cooked onions. If you really have a problem with it, cook the chicken separately, put it on the cooked potatoes and then add the topping and just melt it under the broiler. Good luck. The recipe as written really isn't all that spicy but if you are concerned I would use half the amount of hot sauce and ketchup to make up the remainder. I hope that you'll come back and let me know how it turns out. Good luck. I just did 3 Tb sauce 3 Tb ketchup and added a small squirt of honey to it. It tasted great. Sounds like a winning combo, the hot sauce, ketchup and honey, great variation and thank you so much for sharing. Wonderful recipe. Made just as written the first time and it was a hit. I have made several times using BBQ sauce in place of the hot sauce. Today I'm using a Carolina mustard BBQ sauce hoping to get a good result :) Thank you for a great recipe base. Wonderful recipe!!!! Made exactly as written the first time and was a huge hit. The second time I got adventurous and used BBQ sauce in place of the hot sauce and it worked out great. Today I'm making it with a Carolina mustard BBQ sauce hoping for the same great result. Thank you for a great recipe!!! I'm so pleased that you enjoyed the recipe and I love that you've gotten creative with it, your variations sound wonderful. Good luck and enjoy! This is totally going to be made tonight...I can't wait for all that yum. Made this tonight!!! Great hit w/ my family. I added a little BBQ sauce to the top of the chicken b4 adding the cheese. Thank you for letting me know that this was a hit with your family and I love the BBQ sauce addition, sounds wonderful! I made this tonight. It was a hit w/ the family!!! I added a little BBQ sauce to the top of the chicken. B4 adding the cheese. This looks great...can"t wait to try it. What kind of hot sauce do you use? Thanks Elaine. I use Frank's hot sauce. you said above the recipe you thought of this when making meals to freeze, would you recommend preparing it all the way and then freezing it or making up to the cooked potatoes and then leaving the chicken and everything raw and freezing? I generally make this recipe completely then I portion it into individual portions and freeze them so that I can easily defrost, heat and serve. I have also made this in a disposable aluminum pan, cooked the potatoes completely, allowed them to cool, added the raw chicken and topped with the cheese/bacon mix, covered and froze and then defrosted completely and finished cooking in the oven and that too works wonderfully. I'm telling you, this is such an easy and forgiving recipe so no matter what way you go you'll have great results. The only thing to make sure that you do is cook the potatoes fully before adding the chicken and when you finish the cooking process, just make sure that your chicken is fully cooked. I hope that you'll give it a try and let me know how it works out. Enjoy! This looks amazing! I'd like to make it for my toddler daughter, though, and I'm not sure she'd like the hot sauce. Can you leave the hot sauce out or substitute something else? I saw suggestions for BBQ sauce or ketchup. Would anything else be ok to use? Or could it just be left out entirely? Thanks! Thank you and I hope that you do make it for you and your daughter. In the past, before we learned of her food allergies, my daughter Maisie ate this and she was fine with the small amount of heat in the recipe but if you are concerned cut the hot sauce out and use another flavor. I think that you need something there as far as a sauce or seasoning. I'd consider bbq sauce, Italian tomato sauce or even some Italian dressing. This recipe is so adaptable and there are just so many ways you can go depending on the flavors you love. I hope that when you make it, you'll come back and let me know what you decided to use and how it turned out. Good luck and enjoy! Oh the ranch version sounds wonderful. I'm so happy that you made such a great version of the original dish. Thank you too for coming back and sharing your success. HOLY COW!!! New family all time fave here! We always order potato skins & buffalo wings for appetizers at restaurants and this combo is soooooooo delicious! Thank you! Can't wait to try some of your other recipes! New fan & follower! I'm gonna link this up on my blog and Facebook! Sheila, I'm delighted to hear that the casserole was such a hit with your family and thanks for linking it up on your pages, I'm going to head over and check out your blog. Thanks for your comment. This looks delicious, but I am wondering what you would suggest to substitute for the hot sauce? Hi Cherie, A number of people have commented with alternates for the hot sauce including various BBQ sauces, pasta sauce & ranch sauce, so just think of your family's favorite flavors and take it from there. I hope that you come up with something wonderful and come back to let me know what you did and how it worked out. Enjoy! You can. Read some of the comments above for variations, all which are delicious. I loved this! Thank you so much for this recipe, it is all my favorite foods in one dish-literally! I was worried my 3 year old wouldn't eat it because of the hot sauce, but she loved it, and so did we! I just wrote about how much we loved it on my blog! Thanks again! Julia, so happy to hear that this recipe was a success, even with your little one. I tell people that it really isn't that hot and the fact that your 3 year old ate it, sort of shows that. 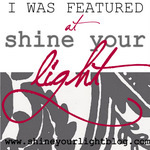 Thanks for sharing the linky love on your blog. Please tell me more about this kitchen that gave you an arena to make freezer meals. It sounds like a great business! There are many different places depending where you live, check your listings. Some that are local to me include Dinner A'Fare, Super Suppers, Meals by Design, Dinners by the Dozen, Dinners Ready and Dinner Savvy. I hope that you can find a place local to you that will fit your needs. This is so delicious! I made it for supper the other night for my family. It was a hit! Everyone loved it and we will definitely be having it again soon! One thing we did do is add "buffalo ranch dressing" by Wishbone onto the top after it was cooked. Yum-oh! I MADE THIS TONIGHT AND I GOT RAVE REVIEWS FROM MY FAMILY AND I LOVED THIS!!! DEFINETLY GUNNA DO THIS OVER AND OVER!!! Glad that it was a success and thanks for sharing. This recipe looks great! Can you give an approximate baking time once you add the chicken? Thanks. As it states in the directions, approximately 15 minutes. I would love to try this recipe. I was just wondering what your thoughts would be on substituting the potatoes for sweet potatoes or yams. Thank you in advance. I would love it because I love hot sauce on sweet potatoes. Just be sure that your potatoes are fully cooked and nicely browned before adding the chicken and other ingredients. Please come back and let me know how it works out. Not sure what pure ground is but if your dish is really hot, the only way I know to cool it a bit is to add lots of dairy as in topping it with sour cream. Good luck. This was a hit, even my 3 picky kids liked it. Thanks for sharing! This was a hit, even my 3 picky kids loved it. Thanks for sharing! Love this recipe without the buffalo sauce... what should I toss the potatoes and chicken in? Olive oil with garlic salt & pepper? That sounds like a tasty option. Also, read some of the above comments for more ideas. Good luck and after you enjoy your meal, please come back and let me know how your version worked out. Making this as I type! Had to scale it down a little as there are only 2 of us...can't wait to try it and hoping that my husband loves it too because it is so easy! Thanks! Good news!! My husband loved it and even said "this is better then pizza". Awesome recipe! Thank you so much! Yeah!! Glad that it was a hit with you and the hubby. Thank you too for coming back and sharing your success. Just for note, make the entire recipe next time and freeze the leftovers in either individual or 2 person servings then defrost and heat in the microwave for a quick dinner. Here I am again! Thanks for the freezing idea....my husband has been begging me to make this again since the last post....so I am making it now! I have told everyone I know about this recipe, your blog and how good it is! Thanks again! Thanks Lisa! Making it again tonight! I will definitely try the freezer option! Thank you for coming back again and I'm delighted that you husband loves this so much. Tonight I pulled a single serving that I had frozen and served it to my husband for dinner as it's one of his favorites too. Love an easy from the freezer dinner night! What a yummy looking dish! Looks oh so gooey good and fattening! Just perfect for our "I don't want to go out for our anniversary" dinner! lol! Thanks for sharing. Do you really preheat to 500? I have never even had my oven on 500. Just checking. lol :) Thanks! I pinned this back in March, but never got around to making it, but tonight's the night! :) One question: What size baking pan did you use? I would assume 9x13 but looks like it could also be 11x7. Thanks! I did use a 9 x 13 pan, I'll add that to the directions. Thanks and enjoy! This looks great! I'm trying it for dinner tonight. I have a big deep fryer and I'm thinking about frying the potatos (for added health benefits;) Thanks for sharing the recipe! Enjoy those fried potatoes, I'm sure that they'll taste wonderful. Do you think this recipe would turn out well if you put the potatoes in the skillet and cooked them? Just to speed up the process? It would work perfectly, I just can't be bothered to have another pan to clean so I like making it all in one casserole dish. this was really good. Even better the next day. Great dish! I made it for my hubby and kids tonight and they all asked for seconds! It was a bit spicy for us though. Next time I think I'll use half as much hot sauce and the other half ranch dressing like some folks suggested earlier. Thank you! Glad that you all enjoyed and I'll bet it will be good 1/2 with the ranch. Enjoy! Thank you and I agree! Love the potatoes with the sauce. Never mind my 500 degree question. I see where it was previously answered. Where did you get your plates? They are gorgeous! Thank you, they are just Corelle. I got them because they are lighter, cheaper and hold up better to my 6 yr old Maisie. This dish was AMAZING. I absolutely loved it and it was so way to make. Thank you and delighted that you loved it. Thank you too for coming back and letting me know. In my oven right now!! My potatoes didn't leave any mixture left over, but since I LOVE hot sauce I'm just letting the chicken marinate in that ;) Smells so yummy! Can't wait!! Do you leave the skins on the potato? And instead of hot sauce could i use that same amount of olive oil instead? I do leave the skins on the potatoes but if you prefer, take them off. I wouldn't replace the hot sauce with additional oil but instead use something flavored like BBQ sauce as you want the dish to have flavor. Some commenters have suggested ranch or Italian dressing too. Good luck with whatever adaptation you make. This was delicious!!! Even my "picky eater" liked it :-) Thank you for sharing the recipe. I absolutely love this recipe. It's a great base for all sorts of variations. Thanks so much for posting it! Looks absolutely fantastic! Thanks for sharing! I made this meal tonight and my family loved it! I made this meal tonight and my family enjoyed it. This is something I will continue to make! Thank you! Glad that you all enjoyed. I tried this last week with the family, before I make it for a crowd of 30, for a working lunch buffet. It was delish!! Thanks for sharing. I'm impressed, cooking for 30! Glad that the family enjoyed the casserole and I hope that your work friends do too. Stupid question of the day - Is the bacon cooked before you put in the oven or is it just cut up raw? Not that it really matters, but don't want to mess this up tonight. Looks so awesome! Megan, not a stupid question at all. The bacon IS already cooked and crumbled. I use the already cooked and crumble, just follow the link in the recipe. Stupid question of the day: Is the bacon raw or cooked before you put it in the oven? In one pic, it looks raw and then in another it is definitely cooked. Don't want to mess up this awesome looking recipe tonight!! I think I figured out a way around the hot sauce. I took a can of Rotel (mild) and drained the juice into a Ziplock. I tossed the chicken in and threw it in the fridge to marinate. I'll admit - that chicken was in there for a few hours, since I try to prep as much as I can while my daughter is at school. The tomatoes/chiles/etc in the Rotel.... well, I attacked those with my immersion blender and turned them almost into a paste. I coated the potatoes with that paste mixture, and added in a bit of olive oil. Then I finished according to the directions. Great flavor, but not too spicy. I was also wondering if anyone had tried this in a crock pot and if so, how did you do it and how did it turn out? Lisa, your Rotel version sounds delicious, I'll have to give it a try. As far as the crock pot, you'd miss out on the lovely crispy roasted potatoes which I think add so much to the dish. If you do give the crock pot method a try, please let me know the results. Thank you for finding and making my casserole. The changes you made sound delicious, what a good idea to add the corn and use pepperoni. I really love all the variations that people are coming up with for this recipe. Thanks for posting the recipe and of course for sharing the linky love, it's always appreciated. This is sooooo very delicious. I found it on Pinterest and knew immediately that I had to make it for my hubby who loves buffalo chicken anything. We were not disappointed! Even my 8-year old twins loved it. Thanks for sharing! I'm excited to try some of your other recipes as well. Thank you for making my recipe and coming back to let me know. I'm so happy that it was a hit with your family and I hope that you do make more of my recipes and that they're as well received. wow looks like a winnner! i'm trying this asap! I must have done something wrong. My potatoes were so hot that I did not finish the recipe. I am saving the ingredients for tomorrow night. I will start over with the potatoes and use less spices. TBS does mean tablespoon, right? Any suggestions on what went wrong? I would like to take this dish to a work lunch. Ifi fix completely tonight and just refrigerate will it warm up okay in the microwave at work? Any suggestions? It does warm up beautifully in the microwave. After I make one of these casseroles I freeze individual portions and we defrost it and heat it in the microwave and it's as good as the day it's made. I made this and my husband, son and I loved it! I put Louisiana Hot Sauce and the heat was perfect! Thanks! Question! If you cook the potatoes for up to 50 minutes and they are done, wouldn't they be overcooked if you then put the chicken/topping on it and cooked it for longerrrr?! I promise you, the potatoes are not over cooked, they will be perfectly delicious. I was not comfortable to put a raw chicken on nicely crisp potatoes.So I cooked the chicken in that marinate on the frying pen.Just until was no longer pink.That also cut the cooking process quite a bit and there is no longer a issue of contaminating potatoes with salmonella. Fantastic dish! This looks amazing! But could you do this in the crock pot?? If so that would be an aded bonus for me! This was good, but way to spicy for us...even my Mexico born & raised husband was thinking so. May neednto adapt for us...cut back on hot sauce more oil. Also, following the recipe exactly...the sauce was super thick and left very little for the chicken. I am not a fan of spicy foods and was wondering if you had any idea on what to use instead of the hot sauce? This looks amazing and I really want to make it. Thanks!! This was excellent. Very few recipes make it into our regular rotation but this one will. I served it with some sour cream and it really was just fantastic. Thanks for a great recipe! I pinned this a while back and finally got around to making it...so glad I did! It was a hit with the whole family, and that is an almost impossible task! I cut back on the hot sauce and used half buffalo wing sauce and half ranch since my family can't handle any heat...it had just a little kick, but not too much. I will definitely be making this again. I was hoping to have some to freeze, but that didn't happen! Thanks for posting! Thanks for making this and your buffalo ranch sauce mix sounds like a tasty way to cut the heat. I have had to make double batches so that I can freeze some, figure while I'm making it, just as easy to make double. Enjoy! I love this recipe. I must have made it every week for well over a month. I have had several weeks off and am making it again tonight! Can't wait! If people are having trouble with the chicken not cooking in 15 minutes they should cut it into smaller pieces. I make my bacon in the oven while I am cutting up the potatoes too. The recipe is perfect! Just try it out people, listen to Lisa!! I tell everyone about it too, it is almost embarrassing I have the recipe memorized but who cares!! Thank you Stephanie. Just like you I haven't made this in a while and have used up all that we had in the freezer so I need to make another batch. Glad that you enjoy it as much as we do. I have made this twice now and LOVE IT! I used a hot wing sauce the first time and my husband (who doesn't like his food as spicy as I do) thought it was too hot so this time I used 4 TBSP mild wing sauce and 2 TBSP of hot and it was perfect for him. I just added more hot sauce to mine on my plate. It was perfect for him and I still got my hot wing flavour. I have never heard of cooking potatoes (or anything else for that matter) in such a hot oven but now I do it all the time! I love how the potatoes turned out! Thanks Bobbi-Jo, so glad that you enjoy this dish and that you found a solution so that everyone gets the heat they enjoy. I love cooking my potatoes on high heat, they get so deliciously crispy! Thanks for letting me know how much you've enjoyed this dish. Wonderful dish! We just had to cook the chicken for an extra 15 minutes. I made this for my boyfriend last night and he said it was the best thing I have made so far in our relationship ! Delicious and pretty easy plus lots of leftovers! Made this tonight. I really liked it. My husband even ate seconds which he rarely does. I did cook the chicken before putting it on top of the potatoes. Will definitely make this again. I made this for the first time tonight....OH MY WOW!!!! This recipe is now a favorite in our house. I've done it WITH chicken and withOUT chicken. The chicken keeps the dish nice and moist. It's a bit crunchier without chicken. If I'm making it without chicken I usually have it as a side dish with grilled kielbasa. After putting the potatoes in the oven I use the leftover sauce for my cut up kielbasa and let it sit till the casserole is almost done. Then the 'basa gets grilled. I prep a green veggie or homemade cole slaw and it's a SCRUMPTIOUS meal! And by the way, the this sauce has become what I use for barbeque sauce whenever I need it. If you'd like it thicker, just add ketchup. This is DELICIOUS! Seriously, maybe the best thing I've made that I found on Pinterest. I may make this with only potatoes at some point for family get-togethers or just as a side at home. I just tried this and it was so tasty! I had to leave out the hot sauce since I have family who doesn't like spicy food but it was still amazing. I will definitely make this again. Thank you so much for sharing! I love this recipe and it is in my weekly rotation! 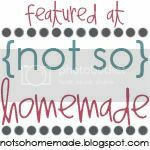 I'm a Pampered Chef consultant and re-blogged on my business website! www.facebook.com/pamperedchefmelanieb Follow me for weekly recipes, FB only specials, food tips and giveaways! I seriously could not bring myself to add 6 TBLS Hot Sauce... so instead of leaving it out completely. I used 2 and I didn't have Garlic Powder so I used Garlic Salt. Even with 2 TBLS Hot Sauce it was almost too much for me... my husband had 3 helpings of it but told me that I could leave the hot sauce out completely next time :) It smelled amazing and it was very good... I will be making this again! I posted my modified recipe on my blog http://michelestubbe.blogspot.com/2013/03/loaded-potato-chicken-casserole.html and linked back to your site. Thank you for sharing! Hello. This dish looks amazing! What kind of hot sauce did you use for this recipe? I made this tonight for my family, it was a hit. Everyone loved it. I used Louisiana hot sauce. I made this and it is so good.. I love it hot, my husband less hot, so I add less pepper sometimes .. Potatoes are in oven now! Smells so good! We love spicy stuff! Oldest daughter can't wait to try this! Will finish baking it this afternoon but wanted to get it started! Seriously!! This is the best, it was a hit for the whole family! I will definately be making it in the future!